Choose Burell Built Exteriors for all your roof repair and replacement needs in Sequatchie County, TN! Whether you need residential roof repair or industrial services for your warehouse or church, we have the tools and skills to take care of you. Call us anytime at (865) 385-6926 to get more details about our roofing company in Sequatchie County, TN. We have the necessary combination of skills and hands-on experience to handle any roofing project, residential or commercial. With many years of experience in the industry, we understand many of the problems local building-owners face, from ponding water to mildew in the attic. Contact us 24/7 at (865) 385-6926 for emergency roof repair too! 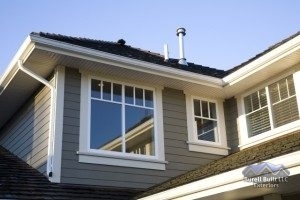 As our company name suggests, we also offer home exterior services such as window replacement, gutter repair, and more. If you need a reliable roofing company in Sequatchie County, TN choose Burell Built Exteriors, family owned and operated!